Stoneflies and mayflies are dependent on each other in the ecosystem. They not only share their habitat, they also tend to prey on each other in their nymph stage. Yes, they are cannibals!!! Additionally, trout and steelheads also depend on them for food. Therefore it is important to know the life cycle of the stonefly so that you know when to use an artificial fly. Just like their cousins the mayfly, stoneflies have been on earth for millions of years. Little about them has changed in all their time on Earth. When your habitat and lifecycle doesn’t need changing, then why bother. 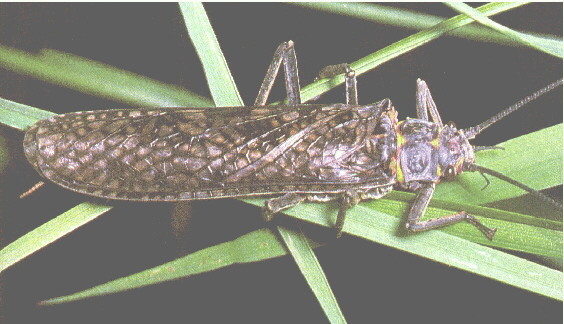 Stoneflies undergo the same incomplete metamorphosis as mayflies, directly form nymph to adult. They skip the pupal stage common in most insects. Stoneflies can take up to 3 years to develop to the nymph stage where they crawl out of water to shed their exoskeletons. Once they do, they emerge with a set of wings that, unlike the mayfly’s upright wings, fold neatly on their backside. They simply emerge as gill-less duns and after a simple molting process that takes place in a day or two, they become spinners. They are usually found throughout most of the summer months when they emerge from the water to spawn. They can normally be found on tree branches calling out to mates, or skipping about ungracefully on the water as they lay their eggs. Like most insects, they can also be found hovering around lights at night. 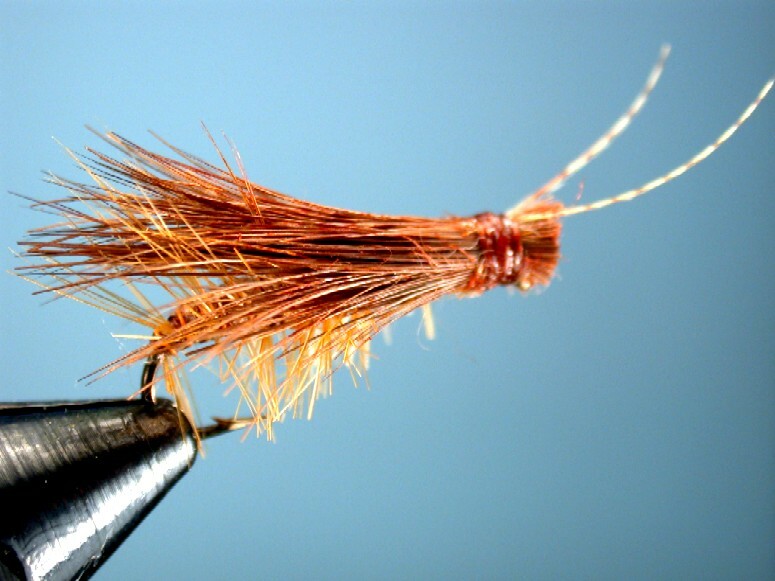 It is this knowledge that a good fly fisherman needs to know, since steelheads and trout will only bite the artificial during the correct time of year. However, the naiads (larval stage) can be found in the streams nearly year round. Simply over turn a stone or plant debris to find them. Make sure you match the hatch or be prepared for a long, long day of frustration on the water. During the nymph stage, the stonefly will usually crawl around at the bottom. Therefore, fish tend to look for them there. They are particularly vulnerable when they lose their footing and start to flutter around as they float downstream. Again, choose your weapon carefully. During the adult stage, stoneflies tend to be pretty ungraceful as they attempt to emerge from the cold rivers to molt into adults as well as when they attempt to land on the water or swim beneath the surface to lay their eggs. Their antics catch the attention of steelhead and trout, which causes a feeding reaction in the fish to strike them. Knowing the behavior of the nymph and adult stoneflies can prove useful in your choice of an imitation fly. When emulating the nymph stage, simply cast upstream and allow the lure to tumble downstream towards you, jerking slightly and occasionally to make sure it stays in the water where the trout and steelhead will see it. When emulating an adult stonefly, you can either allow the float in the current as you would in normal fly fish casting, or you can cast it into the water and use your fly line to jerk it in and out of the water. However, it is important to keep the stonefly’s actual lifestyle in mind when doing so, as the fish won’t bite a fly cast in the wrong season. Adults have a pair of wings that are neatly folded over their body when not in flight. The front pair of wings is usually highly noticeable, while the back pair may be small or absent. Stoneflies come in a variety of colors and may even be two-toned. While the nymphs are very poor swimmers, they do crawl around eating mostly vegetation, with their crab like bodies. They also have a set of leafy gills while in the nymph stage. These are shed, along with the usable mouth parts, when they emerge as adults. They are approximately ½ inch to an inch long and have 6 legs, 3 body parts, and two antennae, just like all other insects. And, like their mayfly cousins, the stoneflies have two tail-like cerci on the tip of their abdomen. Their relationship in the habitat they share with the steelhead and trout makes them the main diet of fish year round both in the nymph stage and during summer in the adult stage. Learning their lifestyle will insure a more productive day of fishing.